The automotive brands continue to make progress in their efforts to offer fully Autonomous vehicles as soon as possible, and the latest to announce developments in this regard has been BMW, which will implement a fleet of class 3 autonomous cars in cities in Europe and the United States shortly. BMW is not alone in that project. They are collecting all the data they can from everyone to make these driverless cars 100% safe. In the next 2-3 Years, these cars will have full level 5 Autonomy. This will be made possible with the help of their DDD project (Data-driven development). This will accumulate almost 1.5 terabytes daily. There are 5 various levels of autonomies of cars starting from completely driver dependent car at 0 to a fully automated car at level 5. Most of the cars nowadays running on the street are at level 2 or somewhere in between 2 and 3. None of them are at level 3, which can be defined as a fully automated car where the driver is ready to take control when alerted by the car,but he is not needed to monitor the car. 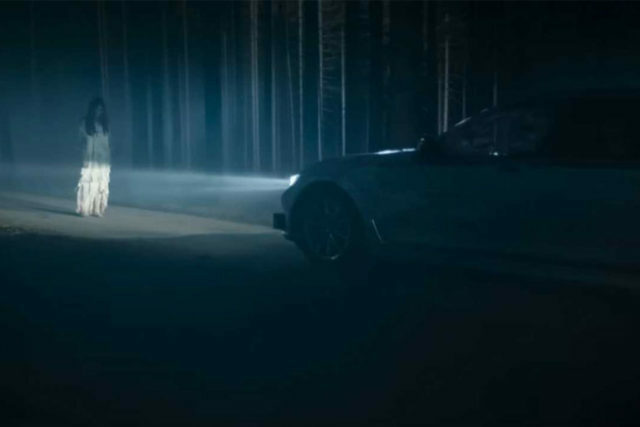 But now BMW has announced it’s class 3 automated BMW 7-series with a funny video that shows a car wandering alone in woods when a spirit approaches the car intending to scare the driver but gets scared herself upon seeing no one driving the car. That’s the vision they want to portray to the world that humans do not need to worry about this technology as it can even scare ghosts away. On a serious note, such level of autonomy makes us hopeful about a future where we don’t need to lift even a finger to get from one place to another safely.